I can’t believe that my little Boy is heading for his second year at school in September another Month of Summer Fun than its back to the early mornings rushing around getting him all smartly dressed up ready for a long day of learning new things and playing with his friends. I have to be honest i am not a big fan of ironing clothes let alone shirts but needs must and i do want my son to look nice heading to school. But this might be a thing of the past for me! which are there to make getting ready for school easier for us parents. 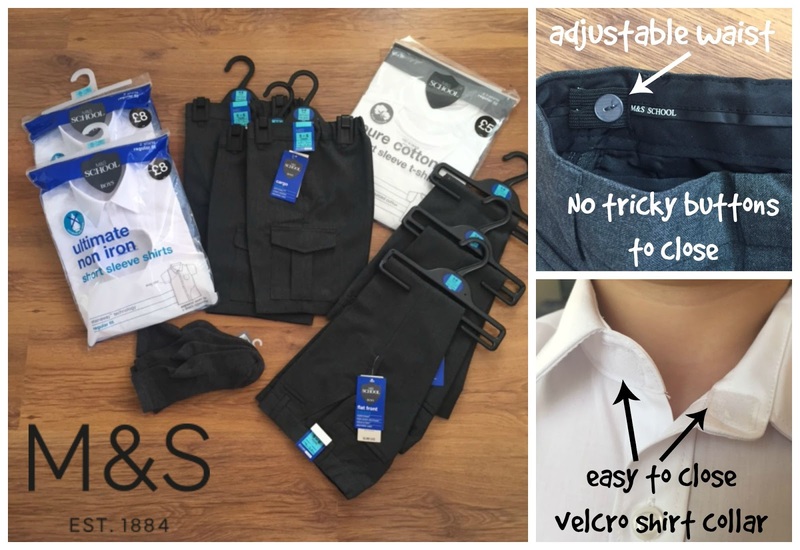 When M&S got in touch to ask if we would like to try out some of their school uniform range it was a no brainer for me we are big M&S Fans and Finn actually worn their cargo shorts and trousers last term so i was looking forward to receive some more items from their range to try out! Expandicuff – elasticated cuffs that mean that you don’t have to deal with fiddly buttons. Adjust-A-Hem – hems with an extra 3 inches of material that can be let down as your child grows. Just iron in place, not needle and thread needed! Non-Iron – just wash and tumble dry for crease free shirts! super crease flat front slim leg trousers. stain resistant cargo shorts & some ultimate comfort socks with it. 3. Picture (bottom right) He is wearing a unisex pure cotton t-shirt with the school’s PE trousers. 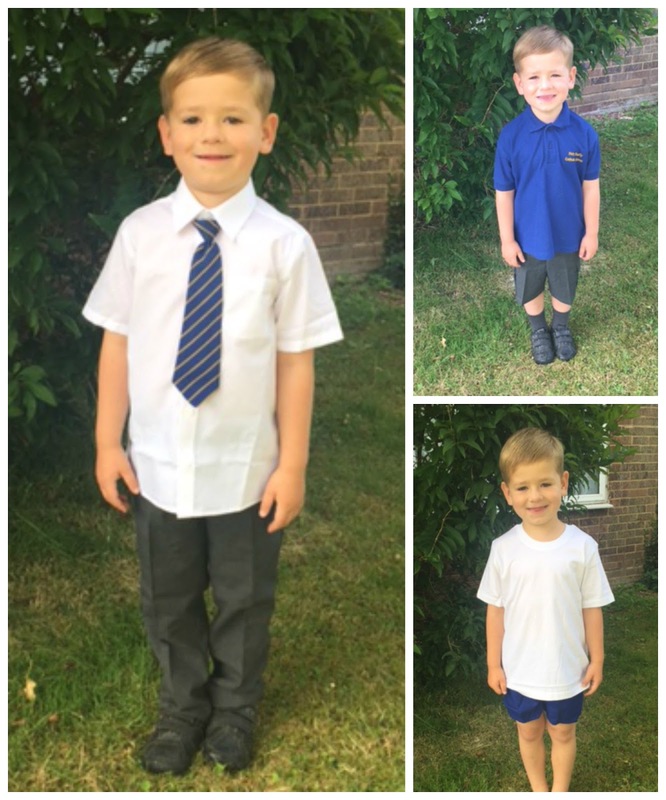 I am looking forward to putting all the Items from the Marks & Spencer Uniform Range to the test with my very active Son for the next Year in his School! and undressed in the morning and after school. term in a month time! So here is to enjoying the rest of our brilliant Summer thanks to M&S! Disclaimer: I have been send some Marks&Spencer School Uniform for Finn for reviewing purposes, but all thoughts and opinions are mine. Saying Goodbye to my Glasses!